↑ "Birds: Kiwi". San Diego Zoo. Retrieved 2008-09-19. 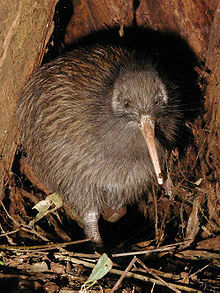 How the Kiwi Lost his Wings, Kiwi newz, http://www.kiwinewz.com/html/losewing.htm . 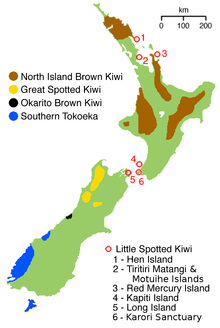 "North Island Brown Kiwi feeding in the wild", YouTube, Google, http://www.youtube.com/watch?v=go52mHlKDEo .